Granada is one of the most famous towns in Southern Spain and a must stop on any Andalusian itinerary, if only to visit the Alhambra palace. We did a loop through Southern Spain from west to east and saved Granada for last. Logistically, this made the most sense and also heightened our anticipation at each stop along the way. 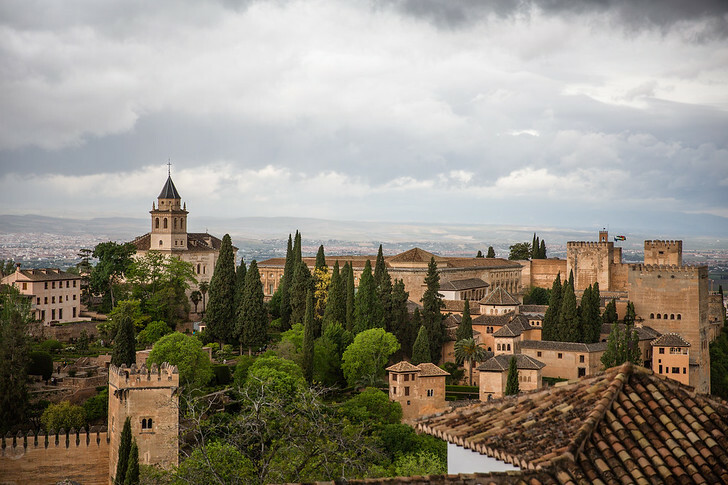 Keep reading for the best things to do in Granada, Spain! If you’re already in Southern Spain, you have the option of taking either the train or bus. Both are convenient and take approximately 3.5 hours. Just make sure to note the location of the station, as typically in Spain the bus and train stations are located in different parts of town. From Seville, we took the local Alsa bus because we found a great deal on the bus fare. We booked directly on the Alsa website, which accepted international credit cards. If you can’t find an inexpensive bus fare, then I’d recommend the train, which is more convenient. You can book train tickets online here. If you’re up north, Granada has a small airport that runs daily flights from Madrid and Barcelona. Check flight prices and set alerts for flight deals! We budgeted a full 3 nights in Granada but all of the sights listed below could be easily fit in a 2 day Granada itinerary. If you like to take things at a leisurely pace, 3 or 4 days is a treat. The first thing I like to do upon arrival anywhere is to walk around and get my bearings. Key things to look out for in Spain: the best local gelato shop, cute sidewalk cafes and the most crowded tapas restaurants! Armed with a map from the concierge, we explored the main street of Grand Via, people watched at Plaza Nueva and then headed to the caravanserai or Corral del Carbón to pick up our Alhambra tickets. The highlight of any visit to Granada is the Alhambra. The site is extremely popular, and entrance is strictly capped at 6,600 visitors per day, so make sure to pre-purchase your tickets online before arriving. You can read my earlier post here about the best way to buy tickets and the ideal time slot to book. Or avoid the headache and book a guided tour to skip the line! We booked the first time slot of the day at 8am and left our hotel for the 20 minute uphill climb to arrive at the Alhambra. Watching the morning sun while waiting in line was quite beautiful! 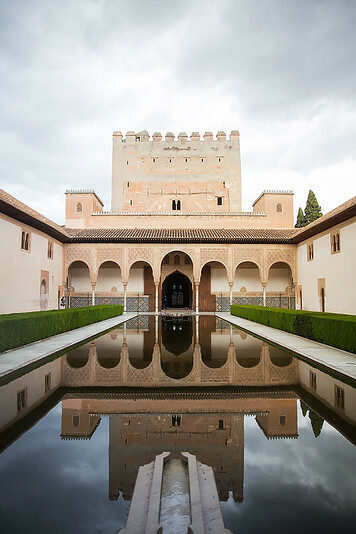 The Alhambra has numerous rooms and pools, which Rick Steves does a great job guiding you through. Make sure not to step in any of the running water pools! They’re right through the center of the floor and I definitely fell in once or twice. The Hall of the Lions is one of the most stunning courtyards. Sher’s Tip: Buy tickets in advance (if you wait till you’re in Granada, they will be all sold out!) Here’s everything you need to know about purchasing Alhambra tickets internationally. After visiting the Alhambra, the palace exits into the gardens of the Generalife. We spent another hour or so walking among the extensive gardens. If you keep heading northeast towards the main entrance, you’ll come across some beautifully landscaped rose gardens and a nice view of the palace. Then we doubled back to see the ruins of the original fortress, the Alcazaba, and had a quick glimpse into the round amphitheater like fortifications of Charles V’s ‘palace’. From Granada’s town center at bustling Plaza Nueva, we caught the local No. 1 bus to head up to the hills of the Albayzin, or traditional Muslim quarter. The streets are hilly, narrow and lines with white buildings for a very charming atmosphere. We walked around the neighborhood for a bit before finding a busy spot for dinner. After a relaxing afternoon siesta back at our hotel, we headed out to see Carmen de los Martires. For some reason the house itself was closed on the day we visited, but the grounds are extensive and we had a great time exploring the various gardens and watching the peacocks! Carmen de los Martires is set on a hill (to the right of the Alhambra) and feels miles away from the hustle and bustle of the city. I think it’d make for a great picnic place or an alternative spot to watch the sunset. Afterwards, we walked back down to Plaza Nueva and caught the No. 2 bus to head up to the gypsy caves of Sacromonte. These hills are even higher up than the Albayzin. It’s quite a long, steep walk so we explored for a bit and then settled in for dinner and a flamenco show. It’s also very popular for people to book a tapas walking tour of Sacromonte or the Albayzin as both can be quite windy and a guide helps to point out the best hole in the wall spots! 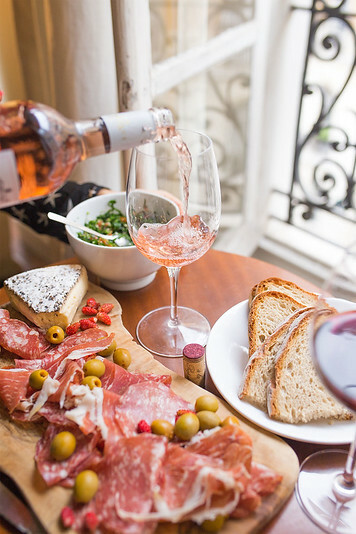 Read more: 3 Incredible Tapas Spots in Seville! We had a couple hours left to kill before our late evening flight to Barcelona, so we decided to spend a couple hours relaxing at the Hammam Al Andalus, or Arab Baths. There are a couple places you can try Arab style baths in Spain – I believe Cordoba and Seville also have their own location. In Moorish times, hammams were a social and business gathering place. The Granada baths are built over the ruins of the ancient baths and about a 5 minute walk off Plaza Nueva. If you’re interested in a treatment (they have a kessara!) make sure to book about 2 days in advance. Unfortunately we couldn’t grab a massage slot so we settled for a day pass to relax in the numerous bathing pools. If you’ve tried Roman style baths in Hungary, I’d say this is very similar but on a much smaller scale and all indoors. It was beautiful inside! Check rates: for treatments here. There were about 5 pools, all different temperatures, and the baths themselves are gorgeous. I wish I had taken pictures because the mosaics, Arab lamps and pools were quite pretty but I didn’t want to disturb or bother the other people there. Oh well, you’ll just have to try it for yourself! Corral del Carbon – this caravanserai is one of the only surviving structures where ancient merchants stopped to rest their camels on the Silk Road. Today, it’s the new home to the local Tourism Info center. Royal Chapel – Right next to the Cathedral is the Royal Chapel of Granada, where famous Catholic Monarchs Joanna of Castille and Philip 1 of Castile are buried. Plaza de Bib-Rambla – this square was the center of Moorish Granada. This is a good stop for coffee or lunch or if you’re game for more sightseeing, head inside to the Cathedral. 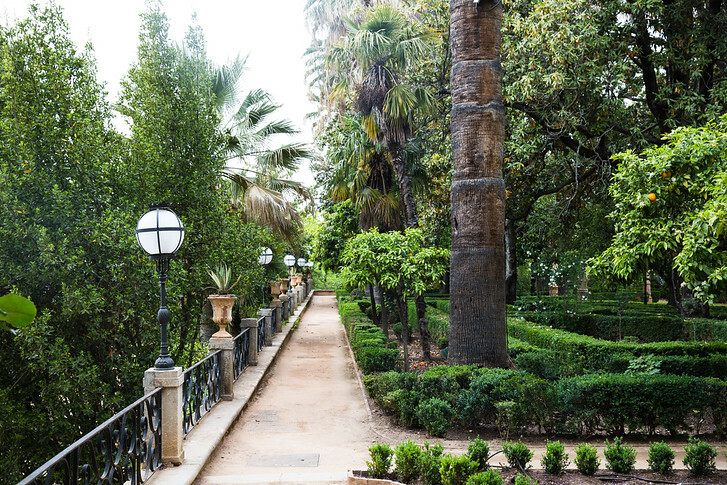 Paseo de los Tristes – head back to Plaza Nueva and continue walking north along the River Darro to this pretty but sad ‘walk of the sad ones’ where ancient funeral processions were held. Be careful of the cars, which drive on the same path! If you want a handy map with the exact route and relevant history, pick up a copy of his guide book here. Upon arrival, we took a cab from the bus station to our hotel in the center of the old town right off Plaza Nueva. If you can, stay as close to Plaza Nueva as possible, as it’s the center of the tourist zone and where all the buses depart from in order to head up to the Albayzin (Moorish quarter) and Sacremonte (Gypsy caves) up in the hills. There are numerous sidewalk cafes and restaurants within walking distance and the Alhambra is an easy 15 min walk up the hill. Well, it’s a tough walk up, but it’s physically close by, ha! We stayed at this charming boutique hotel with complimentary breakfast and wifi. The best part was its location right on the old town and <5 minutes from the old bazaar and pathway to the Alhambra. If you want an affordable and centrally located hotel, the Anacapri is a great choice. Hotel Casa 1800 – close to the main sights, this beautiful hotel is in a restored old building with a gorgeous courtyard. Complimentary tea and breakfast. NH Hotel Victoria – fantastically located in the heart of the city, this minimalist hotel has comfortable rooms and gorgeous decor. And that’s it! 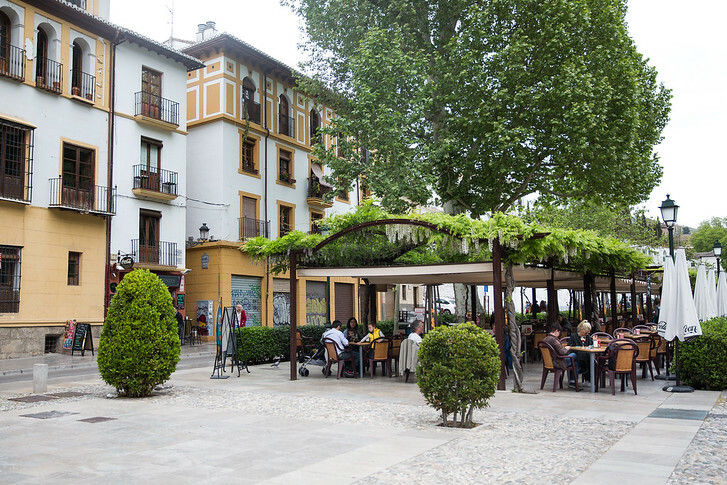 An easy 3 day Granada itinerary covering all the best things to do in the city! Nice photos of a beautiful place. But let’s not forget one of the other attractions of the place–the food. I’ve not yet made it to Granada, but I really want to go! Both the caves and the walking tour look right up my street! First, your site is beautiful! Love this post as well! I’ve visited Madrid twice, and although I had a great time, I would love to venture to other parts of Spain. You’ve helped put Granada at the top of that list! Thanks Sarah! Ooh would love to read your Madrid tips! haha of course Tom :) definitely can’t forget that! i have to say though, seville was the best town I visited in south spain, food wise. any granada restaurants you recommend? Gorgeous, wish i was there right now!! I’ve done a little of Spain, but Granada seems like a must do. I would definitely be up for the walking tour. Great way to explore Granada. Never been there but will definitely use this as a guide when I get a chance to be there. I will not missed the Sunset at Mirador de San Nicolas and El Albayzin. Sounds like an amazing place to spend a few days. I’ve never been to Spain before but definitely heard good things about it recently. The photos that you’ve taken certainly make me want to visit! Such a great itinerary for Granada. It is somewhere I visited when I was 3 but have no memories of it so I want to head back there! I didn’t realise you can have a moorish bath there. 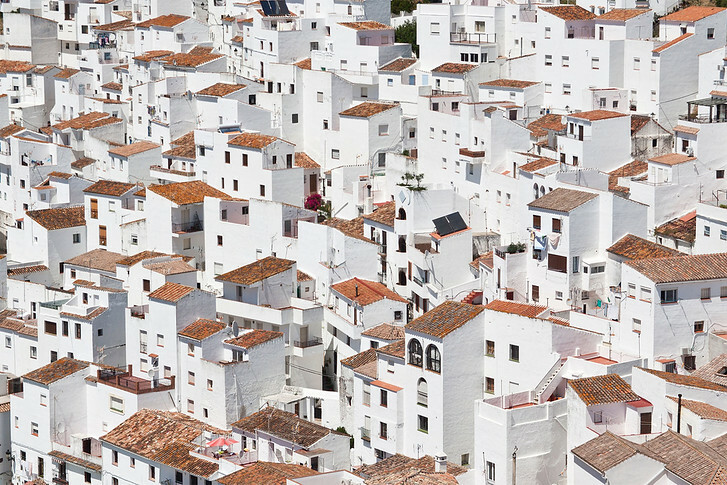 Have always wanted to visit Southern Spain. Thanks for all the great tips! I just want to say Thank you for putting together your travel blog and extensively detailing your trips. I came across this post from Pinterest as I’m planning my trip next year to Spain. I am really impressed and now I’m using your other Spain posts to supplement my research in other parts of Spain. Excellent guide for three days in Granada. I’m leaving for Granada next week for five days and I feel confident that your guide will help me use my time as efficiently as possible!!! Unfortunately, I didn’t book my Alhambra ticket in time for the Palaces, but I booked my ticket for the Generalife, Alcazaba, etc. everything else you can see besides that and I’m so incredible excited! 1. 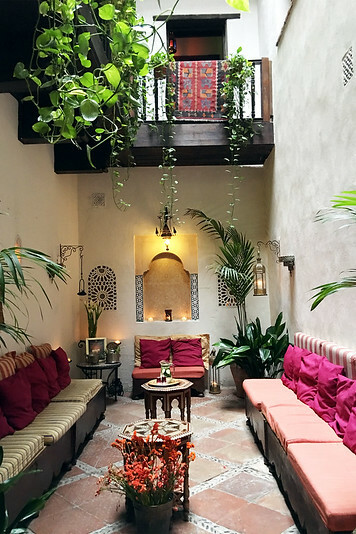 Do you know anything about booking just the Nasrid Palace for evening/night? I can’t seem to find tickets for just this part of Alhambra. Already booked through Viator for a morning tour of the rest of the complex. 2. The Arabian Baths don’t show a schedule for December yet. Any other info you can provide will be great! Hi Karen, so glad you’re finding it helpful! Hm they used to sell an evening Nasrid Palace ticket but with all the recent changes im not so sure. It looks like the tour has been removed from both viator and ticketmaster.. Im traveling in Ireland at the moment but can look better for both your questions when I’m back home! Where did you purchase your bus tickets from? I am looking online and it shows about 25 euros. Hi Sam – I bought them directly on the bus website! Fares fluctuate depending on time of year, demand and how close you’re buying from your travel dates. 25 euros sounds about right. the 5 to 10 euro fares I mentioned are limited *deal* fares that pop up every now and then. Hope that helps!